As the end of the school year approached, I realized that I spent a lot of time doing lots and lots of things. 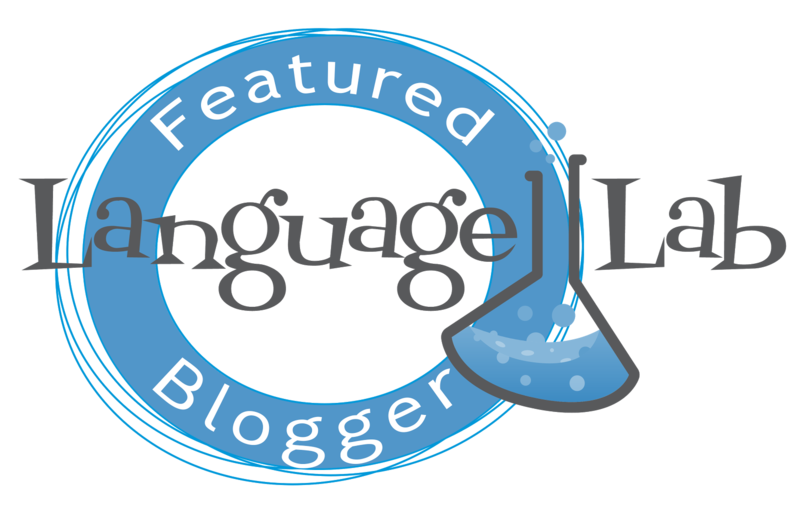 One of the things on my list was to write occasional blog posts about what I did as a speech language pathologist. That, however, got put on the back burner when I committed to too many other things in life. I'm finally starting to figure things out after being in the profession for ten plus years. I thought I'd take a moment a reflect upon some of the things that have I have accomplished over the past year (and stop using the word things). I liked Prentke Romich's Language Acquisition through Motor Planning (LAMP) conference so much last year that I decided to attend it again this year. The conference, in my opinion, is at the forefront of the push of using core vocabulary for augmentative and alternative communication (AAC). Done are the days of programming countless pages of fringe vocabulary. Prentke Romich has a nice website for lesson plans called AAC Language Lab. You can try a couple of their free lessons and then decide to go further with a paid subscription. This is definitely worth a look if you're not sure where to start with AAC in both a clinical or school setting. The other big conference I attended was the Michigan Augmentative and Alternative Communication Conference held near Charlotte, Michigan at the Eaton RESA. Guess what the big push there was? You guessed it--Core Vocabulary. I attended several sessions including one on the newly updated Proloquo2Go 4.0. One of the biggest changes in Proloquo2Go 4.0 is that the core vocabulary remains somewhat static to the fringe vocabulary pages. Overall, my biggest takeaway was to keep using AAC more and more in the classroom. Model it. Show students how to use it. Repeat. A million times. This year I began pulling students for extra individual therapy. I have at least six students who have AAC devices. I decided that I, too, needed to use AAC the entire sessions to communicate (and learn) with the devices. I'm fairly proficient with Saltillo's NovaChat, PRC's Unity (and Words for Life), GoTalk Now, and Proloquo2Go. The hardest part is not talking (besides modeling) during our sessions. I make it a challenge to only use AAC along with the students. You get a real understanding of how it can be frustrating if you can't say a word that your brain is thinking. Saltillo asked me to share a video of one of my therapy sessions (with parental permission, of course) to be shown during training in Australia. So that was pretty cool. 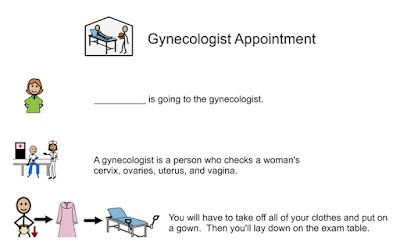 On the last day of school I was asked to write a social story for a student's first visit to the gynecologist. I'm always up for the social story challenge. Last year it was "Go Pee and Poop in the Toilet, Not in the Pool" and then this year it was "A Trip to the Gynecologist". My frequent listening of Loveline with Dr. Drew gave me the knowledge of some of the procedures (and the term "speculum"). I was resourceful and found a good article (6 Things an OB/GYN Needs to Know When Taking Care of a Patient with ASD) that tells doctors how to treat people with autism, but I couldn't really find any that were geared to those who were going to the gynecologist. Staying caught up on my Medicaid billing is always a great (mundane) moment for me. It's not difficult, but it takes up my time (which gets procrastinated). I had some pretty fun activities like having one of my AAC users lead the weekly summer camp day in camp songs (and Christmas songs). I also did a month long American Idol lesson with my severe cognitive (high school age) class. Every week we voted on whether we liked or didn't like the performances. We voted off a person each week too. The kids were very engaged. I'll post that lesson before next season starts. The greatest moments for me were when I was able to get students to use AAC in new ways and to see them excited to communicate and get a reaction to their talking. With 60+ students, it's hard to spend the time that you want to with each kid. 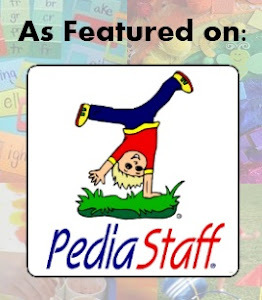 I primarily do push-in speech therapy with my moderate and severe cognitive impaired classrooms. I need to keep my creativity going and move past some of my therapy staples. I would love to visit each class every morning to make sure they were set up for the day with pictures, communication devices, and switches. I always need to fine tune my data keeping. We've been moving towards the formative assessment in our school district. I've been learning more about it and hope to find simple and effective ways to use it with my students. Well, year number ten is officially over. I look forward to making some changes over the summer that will make next year better. Stay tuned for more speech therapy ideas and thoughts!